Leonid Brezhnev’s daughter Galina was a real wild child. With her heavy temper and hard drinking habits, she was a constant embarrassment to the General Secretary. Galina partied like there’s no tomorrow. Most of all she loved younger men and circus. She had numerous relationships and marriages with circus artists the most notorious of which was Boris Buryatse nicknamed ‘Boris the Gypsy’. Galina’s greatest passion was diamonds. She had acquired a great collection of jewelry over the years. Where did she get the funds, you may ask? Well, she acquired them the Soviet way. It is general knowledge that, in Soviet times, all the jewelry and valuables that were confiscated from criminals did not find their way back to the owners nor to the market. It all ended up in the hands of the wives of the Soviet aristocracy who were just hungry for luxury. But rumors said that Galina also had another source. Let’s take a look at the following incident. 27 December 1981. The infamous circus legend and lion tamer Irina Bugrimova arrived and found her home burgled and her invaluable diamonds stolen. She had been wearing the diamonds the day before at the circus show. 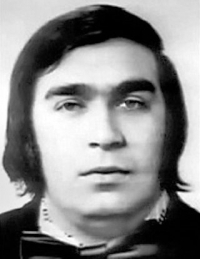 The KGB investigation led directly to Galina Brezhneva’s darling Boris Buryatse. In January 1982 the flamboyant Boris arrived in the interrogation room in mink boots and a lap dog. The investigation showed that Galina Brezhneva had also attended the same circus show. Irina Bugrimova’s spectacular diamond set had clearly outshined the Premier’s daughter and her jewelry. On the next day, Galina simply ordered Boris to steal the diamonds. A broader smuggling scheme was also revealed. Over many years Galina and Boris had used their circus connections to smuggle large quantities of diamonds abroad and exchanged them for cash. They used to hide the stones inside the equipment of the traveling Moscow circus. On one occasion they even hid jewels inside a circus elephant’s teeth. They also had means to manipulate prices on the internal jewel market and profit hundreds of thousands of roubles that way. Right after the death of Leonid Brezhnev, Boris Buryatse was sentenced to 5 years in prison where he died later under mysterious circumstances. The General Secretary’s daughter was spared. Although Galina was also invited to the KGB headquarters for questioning and there were regular searches performed in her homes, but nothing was found. She was constantly drunk and frivolous signing every written statement without reading it and constantly inviting the policemen to drink with her. The case was quietly laid to rest and forgotten.